Mumbai: Have you ever wondered about a house which runs on zero electricity and also generates electricity for future use? Well, this idea isn’t far-fetched at all. A team from IIT Bombay had successfully built such a fully-functional, well-furnished house with three rooms, a kitchen sufficient lighting and air conditioning. The house runs on solar energy using rooftop solar panels. It does not use any electrical energy from the grid but is capable of generating and feeding excess energy to the grid on a bright sunny day. The name of this fascinating team of passionate young engineering and architecture students is “Team SHUNYA” where SHUNYA stands for ‘Sustainable Habitat for an Urbanizing Nation by its Young Aspirants’. The team took part in Solar Decathlon Europe, 2014 and got “Honourable mention in Sustainability”. The team secured highest points in innovation in engineering and made innovations in the fields of solar-powered appliances, photovoltaic systems and house simulations. Another remarkable highlight is that the team has patented a solar air heater in which maximum temperature of 220oC can be reached. 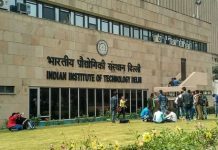 Team SHUNYA of IIT Bombay is now set for the next challenge – to participate in Solar Decathlon 2018 to be held in Dezhou, China. It is the only team from India to have selected in Solar Decathlon, 2018 which will be held in Dezhou, China. Solar Decathlon is an international competition in which teams from various countries compete to build a fully-functional solar-powered house by applying cutting-edge technologies and innovations in a month-long competition and make a live model of the house on the competition site within just 12 days. The U.S. Department of Energy Solar Decathlon also designated as ‘The Olympics of Solar Powered Houses’ challenges collegiate teams to design, build and operate solar-powered houses that are cost-effective, energy-efficient and attractive. For Solar Decathlon China (SDC) 2018, the ‘Project Solarise’ of Team SHUNYA will showcase a solar powered ground+1 floor villa of 2000 square feet area for a family of six people, which uses an unconventional innovative HVAC system. The villa will be completely automated and built using hybrid construction. With amazing lessons from the past, Team SHUNYA is designing a house as per the climatic conditions of Amaravati, the capital of Andhra Pradesh, to demonstrate energy-efficient solar housing. As Amravati will be a green field construction on the banks of Krishna River, Team SHUNYA looks forward to use this opportunity to demonstrate housing options for future smart cities. ‘Project Solarise’ will be an amalgamation of traditional architecture, contemporary interior designs, modern lifestyle and futuristic amenities infused in a single house. The ‘Net Positive Energy House’ has been designed with thorough research about the climatic and geographical conditions of the place. Passive solar architecture is the central design tenet with the aim of reducing the requirement for artificial thermal and lighting control as far as possible. The cost can also be brought down. This project will also introduce hybrid construction in the realms of Indian housing, diverging from the conventional building industry. The scientific principles of Vastu Shastra have also been employed for arriving at the spatial arrangement of various rooms according to the time of the day. The house would be easy to erect and transport. In future, the ‘Net Positive Energy’ house designed by Team SHUNYA will be an asset for the upcoming smart city projects in different parts of the world. Since its selection, the team has made significant progress in the design and engineering of the house. In order to justify the decision to create a house for the Indian middle class, the team decided to ensure that the house appeals to the sensibilities of the widest range of Indian home owners. An active attempt has been made to provide as much functionality as possible at the lowest cost while meeting with the international competition standards. The members of Team SHUNYA are not mere engineers and architects, but technocrats with young innovative minds imprinted with the responsibility of fulfilling social obligations and with the inextinguishable desire to serve humanity. As Team SHUNYA represents India in Solar Decathlon China 2018, it will be yet another feather of success in the technological advancement of the country in solar housing with its rich scientific minds. Apart from the construction of the house, the team is also engaging in awareness activities to promote sustainable construction in India through its website, social media platforms and by participating in lectures, workshops and various conferences. Currently, the team is working towards raising capital to meet the expenditure of building a new house in the campus premises for testing the design which would further be dismantled and reassembled in China in 12 days as part of the competition. The team utilizes all their investments for designing technologies. If the dreams of Team SHUNYA gain wings in implementation and replication, it would surely transform the Indian building Industry by demonstrating affordability of sustainable housing.